When you demand expert collision repair and the ultimate in automotive paint, Come to the Best…Come to CARSTAR Allstar Collision. 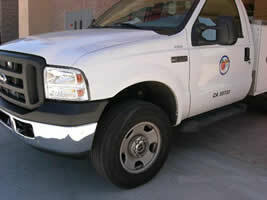 CARSTAR Allstar Collision has served Corona and the surrounding communities for over 20 years. The company has built a reputation for honesty, integrity, quality, and old fashioned customer service. Every aspect of our service is reviewed and improved upon on a continuous basis. We are known for our world class quality, customer satisfaction, and for our efficient processes. We believe that true quality service begins with the first call from our customers and continues throughout our meticulously laid out processes. Every car and truck serviced by CARSTAR Allstar Collision is washed and detailed, and delivered to our customers in showroom condition. We take the customer satisfaction experience a step further by providing a lifetime guarantee of our craftsmanship to all of our clients. 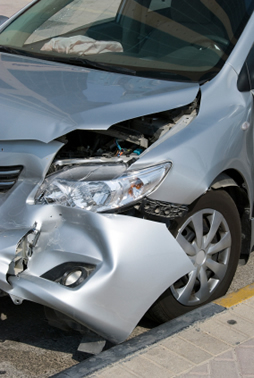 CARSTAR Allstar Collision people are some of the most trained and most experienced professionals in their fields. CARSTAR Allstar Collision people receive continuous professional training in the latest techniques and the most recent processes in automotive design, repair, and paint. Owner and President - Dean Seif has in excess of 25 years of hands-on experience in production management, quality control engineering, production cycle time management, customer care, Six Sigma and process improvement. Dean has a degree in engineering and an MBA in technology management. Dean is a certified trainer in statistical process control (SPC) and process cycle time analysis. He is a certified trainer by Juran Institute in Quality Improvement Techniques. Dean also is an ISO 9000 standards Lead Assessor. As a professor and a consultant, Dean has taught these and other engineering principles at California State University at Los Angeles, DeVry University in Pomona, Riverside Community College, and numerous small to large companies. Customer Care Employees – Trained and empowered to understand our customers' needs; our Customer Care employees are well-prepared to answer your questions and make the repair process as pleasant as possible. They are trained to assess the damage to your vehicle, provide a cost estimate for the repairs that is as accurate as possible, describe the repair process to you, give a tour of our facility when requested, provide status reports on the repair of your vehicle, monitor the quality of the repairs in-process and prior to delivery, ensure speedy and seamless transition between vehicle drop-off and delivery, rental car needs, communication with the insurance companies and other steps in the repair process. They also obtain your feedback on the quality of our services to continuously improve our services. greater Industry professionalism and excellence.